Is this the biggest hit song of the year? Last year it seemed like Florida Georgia Line’s Cruise spent about six months at the top of the country singles chart. It seemed like every week more people would download the song. The the remix came out and it gained an even bigger audience. Even has FGL released new singles and those singles would climb the charts, Cruise would still top the charts. Well now things have settled down a little bit and the time has come for the duo to release new music. The first single from their sophomore album has to be one of the most anticipated songs in country history. It was just released and it’s really good. Fans are already loving it. Are you ready for another chart dominating song? These two guys know how to find catchy melodies. They brought something different to country fans and fans are eating it up like crazy. Mix those catchy melodies with incredible stories like this one about life and love and you have a recipe for a really strong country song. The story here is beautiful. After seeing the title I figured it would be another song about the country life. But this song has more depth. It’s a love story. It’s the love that two people share for a lifetime, but it’s more than that. It’s a love song for people and their entire families and it’s the love country folks have for the life they lead out on those dirt properties out in the country. This is a great song and there is no doubt that people are going to love it. This continues to remind me of how Brooks & Dunn took country music by storm back in the early ’90s. They had a brash brand of country music. It was different and their songs shot to #1 each time a new one was released. 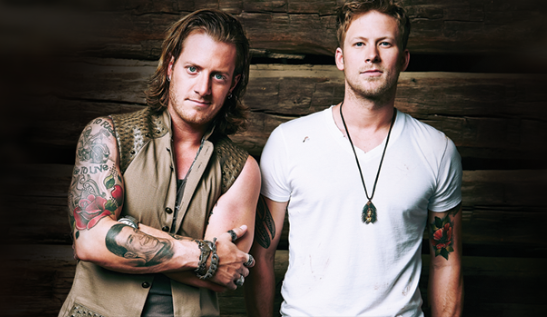 FGL is following the same path and they’ve done it again with their second album.